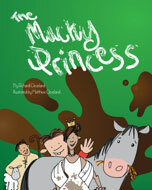 The Mucky Princess is the first in a series of children's books written as if a fairy story, but in a modern style. 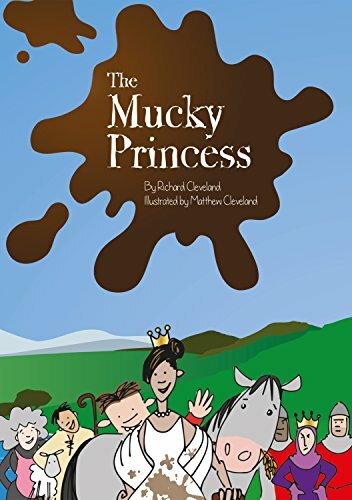 The stories are entertaining and humorous touching on moral issues, such as kindness, courage and tolerance, but are in no way preachy or teachy. The Princess lives in a beautiful palace and has everything she could possibly need. But the palace is rather boring and she seeks mischief and adventure by hiding from the servants and getting as mucky as possible. 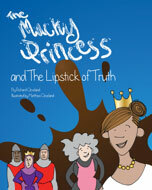 One day she falls through a small door in the palace wall, meets a shepherd boy and her adventures really begin! The Princess is really very worried about her husband, who has the ‘Pony pox’. He is starting to get much worse galloping around the palace and eating straw! But the world famous doctor Zala tells them, “It’s an evil spell!” cast by the ‘Pwince’s’ wicked step mother. Join the Princess and her companions as they set out to break the spell. The Wicked Queen isn’t beaten yet! Using devilish trickery she escapes from exile with Narvig the Knobbly Gnome of the North and seeks revenge on the Princess. But just when all seems lost...! Join Narvig as he rushes to rescue the Princess and her ‘Pwince’.